I don't know for sure, but the way I think it went down was this: the good people at Dandelion recently attended an Omaha Fashion Week event catered by Attitude on Food, and they were all about Chef Donny Rodden. 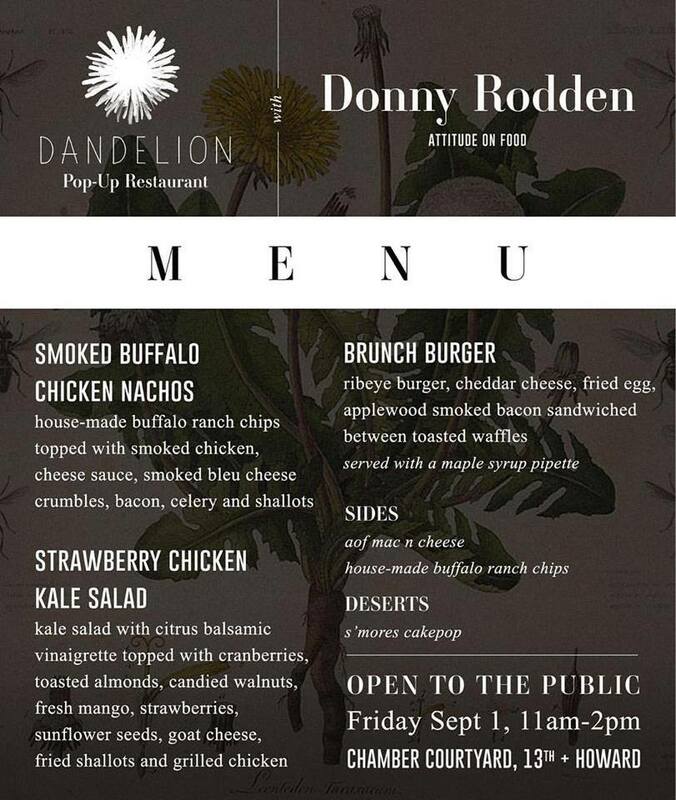 You go to today's Dandelion starring Chef Rodden. The Attitude on Food executive chef has loved cooking for as long as he can remember. "I have three older brothers and they used to tease me by calling me Chef BoyarDonny," he laughs (while noting the irony that they all grew up to be chefs, too). Rodden is excited about today's foray onto the line. "I like that catering has deadlines. I can focus more on the details. You have a timeline and you know when things need to be done. But I also love the rush of being in a restaurant... or a popup." Attitude on Food's catering clients also love this best-of-both-worlds approach to enjoying gourmet food, which is why the company introduced the AOF food truck, now trending at events-- either as the main meal, or parked outside so guests can have a late night snack porta via -- and popping up around town (you can stalk it on FB or Insta). Rodden says it's just another indicator of how fortunate we are in Omaha for having so many food options. "There are a lot of talented chefs in this city."